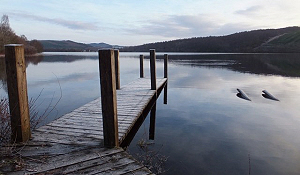 ​Lochview Guesthouse offers luxury bed and breakfast, each of our three king-size rooms offers spectacular views of the Loch and surrounding woodlands and hills. Our three well appointed, comfortable rooms, each with en-suite bathrooms boasting showers and full size baths. To view each room please click the links below. All rooms are well appointed with vistas across Loch Achilty and views deep into the ancient Oak Woodland that acts as the most fantastic and dramatic backdrop for the Guesthouse. All rooms offer a refreshment tray with a selection of tea & coffee, colour television, and a full size bath to soak in after a day of hill walking, cycling and sightseeing, and if you should get caught in a Scottish shower of rain we would be very pleased to hang your coats and walking boots in the drying area overnight. We are also pleased to offer: fresh milk, extra bedding, a hot water bottle and even an iron and ironing board. For the discerning cyclist or wild water swimmer we can offer a safe and secure place for your bike, wet suits and associated equipment. Car parking is a private drive within the grounds of the Guesthouse with secure parking for motorcycles. There are stone steps up to the front door from the parking area which sadly do not lend themselves suitable for wheelchair access. Please be mindful that all of our rooms are on the 1st floor of the house accessed by a central balustrade staircase. Wi-Fi follows the same pace of life as the Highlands, it can be a little sleepy and gently downloads at its own speed. It is available in the rooms, but please remember that you have a better chance of spotting the local Pine Martin in the garden than doing some serious streaming. Our location is the perfect base for those wishing to explore the Highlands of Scotland. There is so much to see and do, we are only a short drive from the Highland capital Inverness, for the sports enthusiast there are an abundance of activities all within a short drive of Loch View. We are located just outside village of Contin, set amongst some of the finest scenery in the Highlands. 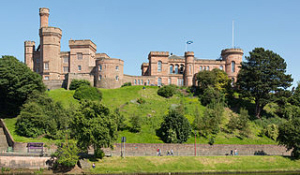 We are approximately a 30 minute drive from Inverness, and around 8 miles from Dingwall. 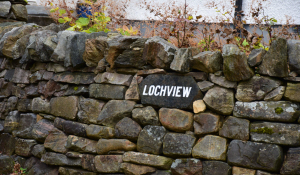 You can view Loch view via Google maps where you can also find accurate driving directions. You can contact us by telephone, please call 01977 421590. Should we be unavailable please leave a message on our answer phone. You can also complete our online enquiry form and submit directly to us, we aim to respond to all enquiries within 24 hours of receipt.